Today, taking time out of his very hectic life, we have a special guest stopping by, visiting with us and talking about his debut book. I have the pleasure of introducing you to a very busy Dad of four boys, inspirational and multi-talented, who can now add author to his resume, Mr. Gerard de Marigny. Please help me give him a warm welcome to the CMash blog!! 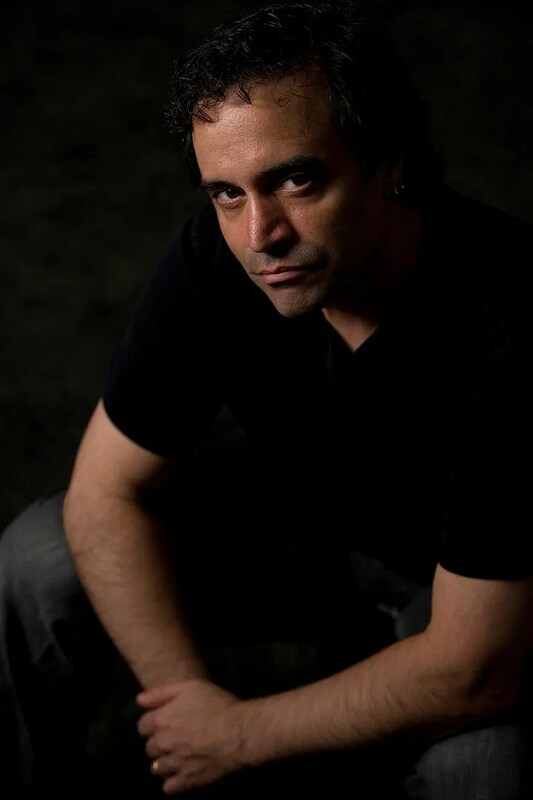 During the 1980’s and 1990’s, Gerard de Marigny was the lead guitarist for the rock band AMERICADE that sold many thousands of records all over the world. His band won the “Best New Video” award on MTV in1983, but a life-threatening illness (cancer, Hodgkin’s Lymphoma) and an epiphany of faith inspired him to focus on his lifelong ambition … to bring to life righteous characters that would inspire others … ultimately, to write novels. In 2007, Gerard was awarded the prestigious Fischer Family Scholarship for the Arts from Penn State University, for a 5,000-word autobiographical work he was commissioned to write. In January 2011, he completed his debut novel, THE WATCHMAN OF EPHRAIM, a political thriller which is book one of his WATCHMAN OF EPHRAIM series. The sequel, SIGNS OF WAR is due to be released in September 2011. Gerard de Marigny currently resides in the beautiful foothills surrounding Las Vegas, NV with his wife Lisa and their four sons. When he’s not writing his novels, you’ll find him bending an arm at a local pub with friends. You can also always reach him via Website, Facebook, Twitter, and LinkedIn. Cris De Niro worked his way up to the top of the hedge fund world. Yet, all of his money couldn’t protect him from losing his wife on 9/11. 10 years passed since the tragedy. Turning to his faith to overcome his anguish, De Niro now lives for a higher purpose. 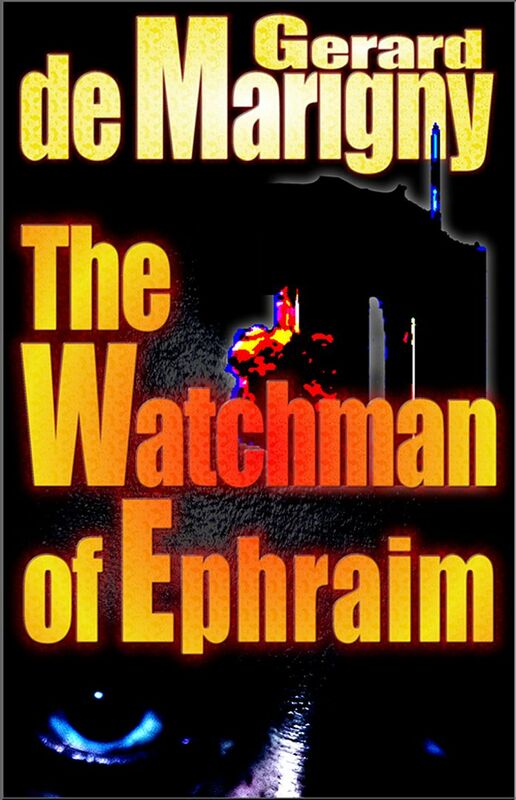 From a biblical passage, he reads about the “Watchman of Ephraim,” a defender who kept watch over the land. De Niro decides to acquire a lackluster counter-terrorism agency in order to transform it into a modern-day version of The Watchman for the United States but there’s not a moment to lose. Aref Sami Zamani is planning a terrorist attack on American soil – codenamed “Antioch,” a plot to detonate a “suitcase” nuclear bomb over the city of Las Vegas. The Watchman uncovers a connection between Zamani and a Mexican drug cartel but their agent goes missing before they can learn more. That’s because Zamani has a spy working for The Watchman. Strange events start to unfold near the Nogales border crossing. References are discovered to something the Mexicans are calling “Noche Del Espantada” …Fright Night,” but can it mean something else? September 11, 2011 and the sun hasn’t risen yet in Las Vegas or Nogales. Antioch is in motion! At the border, Noche Del Espantada has begun and there are intruders at De Niro’s ranch. De Niro has to protect his sons and someone new in his life, Dr. Moriah Stevens. She too, lost her spouse on 9/11. Moriah finds herself in love with De Niro but his devotion to his wife is proving too powerful for him, even after 10 years.  Cris De Niro’s jet, the QSST actually exists, at least the design does (you can see an artist rendering and read about it here – QSST)! QSST stands for “Quiet Supersonic Transport.” In 2007, Author Gerard de Marigny had the pleasure of sitting down with the man behind the QSST, Michael Paulson, son of Gulfstream founder Allen Paulson and discussing his next-generation aircraft. In the story, De Niro has just purchased it and is already flying in it but as of today, the QSST is still waiting for government clearances to fly over land.  Cris De Niro’s yacht, SANTANA, is based on a real turbine-powered mega-yacht. Although he added some aspects to the one in the story, you can see the photo that Author Gerard de Marigny used to describe SANTANA here – SANTANA.  De Niro and his Head Gaucho Martin Fierro both used a very special rifle in the story – a Winchester Model 1895 Safari Centennial High Grade. It was a replica of the famous rifle President Teddy Roosevelt called his “Big Medicine’ – the one he used while on safari in 1909. You can see a photo of it and read about it here – Winchester Model 1895.  In the story, the squad leaders of ARCHANGEL, the paramilitary arm of The Watchman Agency join up with Bryan Ahiga, leader of the special Native American border patrol unit called “The Shadow Wolves.” The Shadow Wolves are real! The Author found out about them while conducting research for the book. You can read about them here – Shadow Wolves. TWO (2) SIGNED COPIES OF THIS BOOK TO GIVE AWAY.